Here you can find elephant sculptures made with polymer clay. 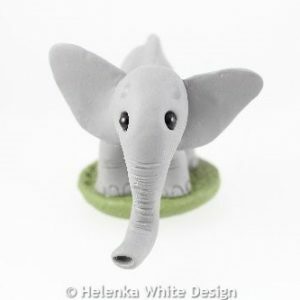 This cute elephant sculpture is called Nellie and has been handcrafted with polymer clay. 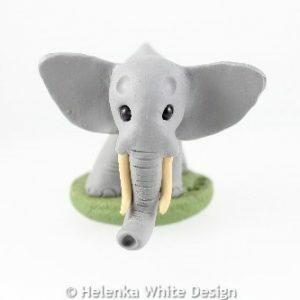 Cute elephant sculpture with tusks – handcrafted with polymer clay.